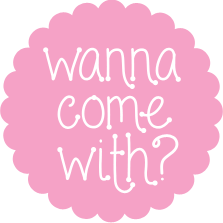 Sugar Crunch Cookies | wanna come with? 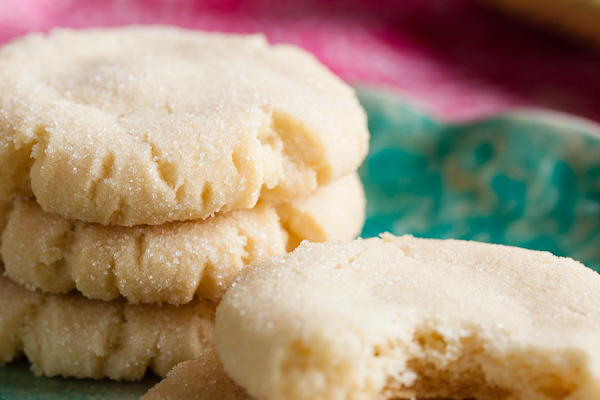 I’ve mentioned many times before that I’m a fan of sugar cookies. And that I simply don’t understand people who don’t like them. What’s not to love? 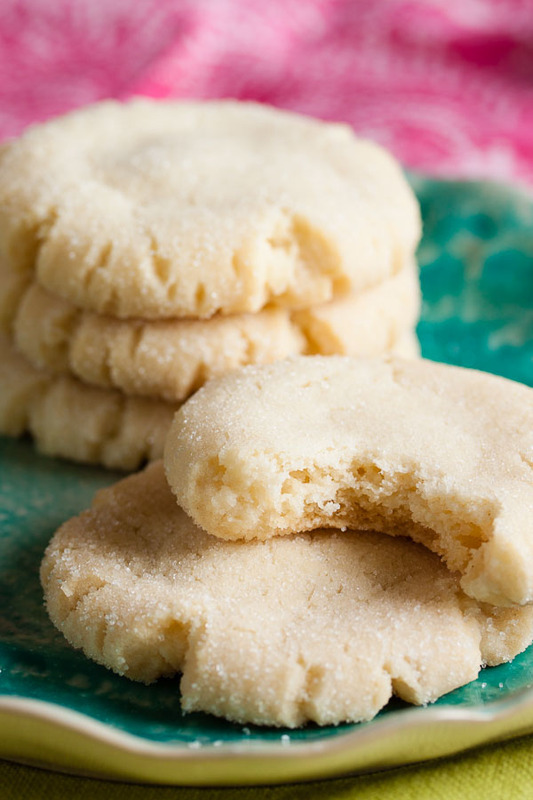 In my (apparently sheltered) life, I’ve only ever had rolled out sugar cookies. 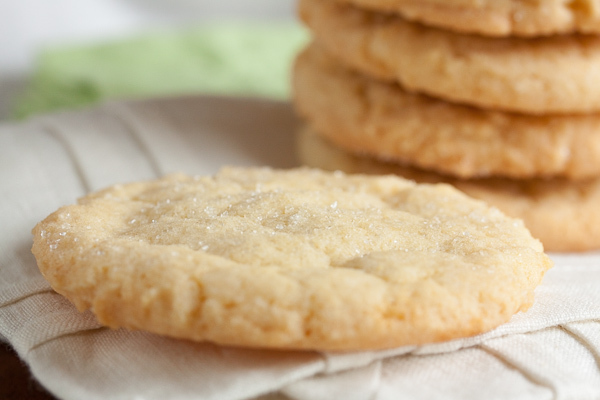 The first time I saw a drop sugar cookie recipe, I think I literally said “whaaaaa?” I thought I was pretty knowledgeable about the world of cookies (trust me, I have had a lot of hands-on experience – ahem), but I’m constantly finding recipes for cookies that I’ve never encountered before. And apparently common ones too, like snickerdoodles and cowboy cookies. And drop sugar cookies. Huh. Rather than rolling the dough and using cookie cutters, these cookies are formed using the same technique as these lemon poppyseed cookies, by rolling the dough into balls and then flattening them with the bottom of a glass. The cookies end up with a kind of cracked edge that I find really pretty – they definitely look homemade. 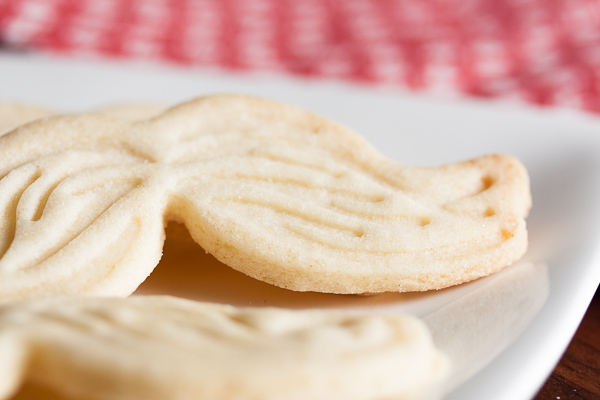 This is a surprisingly crunchy cookie, much like the sugar cookie moustaches I made last year (I was surprised by the crunchiness of those too). I know the name of this recipe is “crunch” cookie, but I wasn’t expecting them to be quite this crunchy. Maybe I overbaked them a bit. The recipe says to bake for about 10 minutes, until they turn golden and settle down again after puffing up, but for me that didn’t happen until a little over 12 minutes. At 10 minutes they were still very puffy and hadn’t begun to colour yet. I suggest you keep an eye on them and possibly pull them out a little sooner than I did. Some people are saying “yay, I love crunchy cookies”, and some are not fans of the crunch, but everyone is liking the flavour. 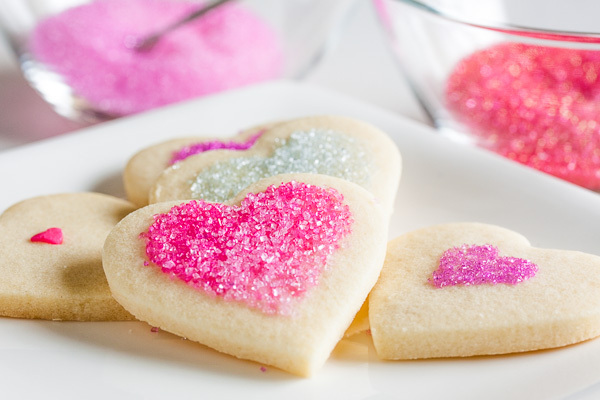 This is a very basic sugar cookie. And with all the sugar in the cookie itself, as well as the sugar coating, this is a very sugary sugar cookie. Adapted from Chewy Gooey Crispy Crunchy Melt-in-Your-Mouth Cookies by Alice Medrich. The recipe states it makes about 60 2-1/2 inch cookies. Usually I end up with a larger quantity of smaller cookies, but this time I came up short with just 47 cookies. Whaaaaat? In the bowl of a stand mixer fitted with the paddle attachment, beat the butter and sugar together on medium speed until light and fluffy, about 3 or 4 minutes. Add the milk and vanilla and continue beating to incorporate. Wrap the dough in plastic wrap and refrigerate until firm – about 30 minutes. Put the 1/4 cup of sugar in a small bowl. Form the dough into small balls, about 1" diameter. Roll each in sugar and place about 2" apart on baking sheet. 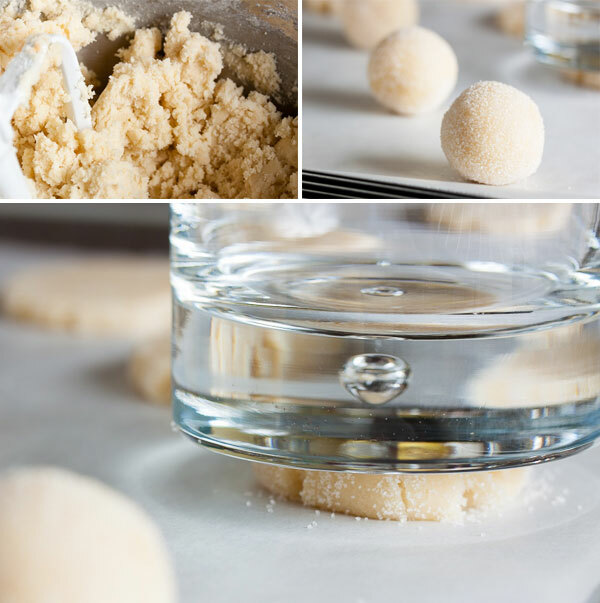 Gently flatten each ball to about 1/4" thick with the bottom of a glass that’s been dipped in the sugar. I found the first few that I pressed down stuck to the glass, but then the rest released really easily. Dip the bottom of the glass in the sugar again after pressing down each cookie. Bake for about 10-12 minutes, until lightly golden in colour, rotating the baking sheet halfway through. The cookies will puff up in the oven, and then settle down again. Allow to cool on a wire rack for a few minutes before removing the cookies from the pan and allowing them to cool completely.